For most of my readers, you might be used to me talking about a place called Hangover - a place I have written entire blogs about and included in dozens more. This blog will highlight this same place; a place I love - called Hangover. If there are any new readers, I will briefly explain Hangover. Hangover was founded by SSU runners long before I was in college, before Eric Putnam was even the coach. They needed to run one morning and decided to drive into the Shawnee State Forest to find a new place to run. They stumbled upon Forest Rd. #5 and at the top found Bridle Trail #5. Now, the night before was still lingering on their breathe and sweating out of their pores - hence the name Hangover. Today, Hangover is more aptly named because of the feeling runners get the day after running this hill-invested, lovely-viewed, out-of-the way path. SSU Cross Country uses this grueling route three times a year for workouts, one 5-mile time trail and two 5k time trials, per season. Long runs are often held there on Sunday's too. Today I made my way out to Hangover for the first time since, I think, November of last year. I have passed through the area on some of my long runs on the trail, but haven't exclusively ran on Hangover for an entire run. This was just what I needed too, Hangover demonstrated to me why I love it there so much and why it is so good. I usually like to find time to be in nature. Usually, that time is spent running, but it is sometimes just spent sitting in it. Hangover gave me that fix this morning. I headed out early and was running by 6 a.m. This time of year is a wonderful time to be a runner. Mornings are a cool, damp, clean time of the day. Everything was better at Hangover. The air was cleaner... the ground was softer... the creeks were giving sound of bubbling water from the recent rains.. trees were coming into bloom, filling the woods with colors no man can create... birds were making their way back into the forest, singing their songs... and I was gliding up and down the hills, blazin' the trails smooth and calm. It was like Hangover was calling me into her fortress. It is open for the whole world too walk in, but today, she just wanted me. I felt privileged and made the most out of my 2+ hours in the wilderness. A wave of serenity came over me, but I felt so small in the gaps filled with 40 foot tree's. Mother Nature is good to me. Mother Nature... sings to me. This run wrapped up the week for me. I ended up with 100 miles total; feeling good with my progression this time around. 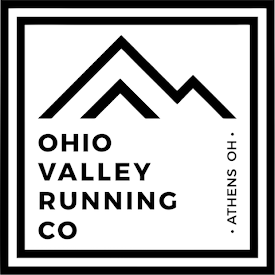 I have the All-Ohio 10k coming up this Friday night at U of Cincinnati. I am looking forward to a PR. Holy crow. That pink is unreal. I thought for a moment you had edited / photoshopped that in. I was looking for some solution for the best hangover cure that works, I found about this medicine named detoxicated. There are some details information about this pills and also about the effects of having drinks. It was really educative. So have detox after drinking alcohol.